Transoft Solutions UK has released a set of 20 3D signs created with Sign Design Pro UK Version 9, for free. The sign faces are .dwg format therefore compatible with any .dwg cad platform. The signs are solid blocks scaled to meters and can be used for; Public consultation drawings, clash checks or Infraworks to name a few uses. 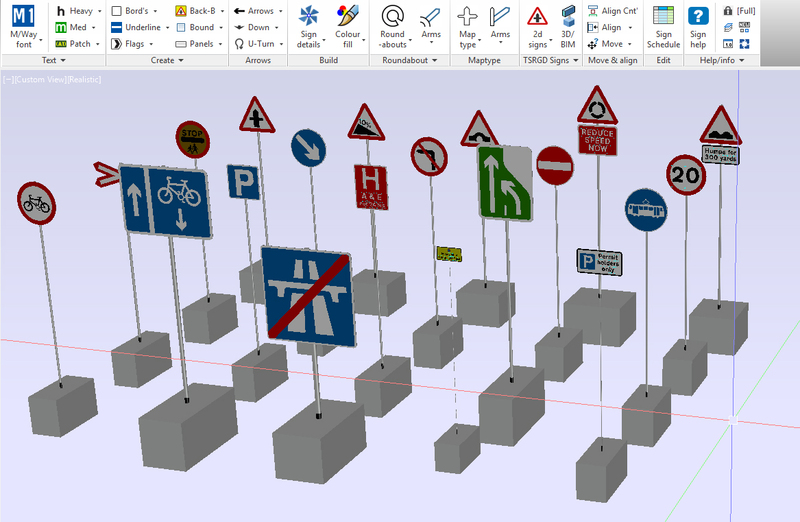 You can find the download link for the traffic signs created with Sign Design Pro below.